Ah, Rome. The city where hope springs eternal. It is a city that is proud of its ancient glorious heritage, a city that once expanded its empire throughout Europe, Africa and Asia. Rome is a city drenched in history and Christianity. First-time visitors may be easily overwhelmed by all this magnificent city has to offer. After all, one can find history and art on almost every street corner. 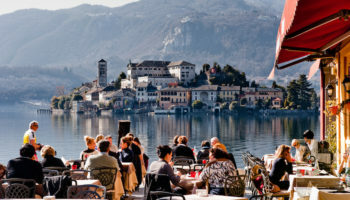 That’s why visitors may want to do their homework to narrow down what they want to see and do before they get on a plane or train bound for the Italian capital. Rome is divided into several districts with its center, the Colosseo district, containing the most ancient attractions like the Colosseum, Capitoline Hill and the Roman Forum. On the outskirts of the center is Old Rome, featuring the Pantheon, stunning cathedrals, plazas and Renaissance architecture. Unfortunately, it’s not possible to see all the top tourist attractions in Rome in a few days or even a few months. Wise travelers won’t even attempt to see everything in one trip. To ensure they’ll return to Rome, they’ll toss a coin into the Fountain of Trevi. Legend has it that those who do will return to Rome again. The Baths of Caracalla, the second largest public baths in Rome, were built by Emperor Caracalla in the third century for political propaganda purposes: The emperor simply wanted people to like him. The baths were functional for over three hundred years. Negligence, looting and an earthquake turned the complex into ruins but their sheer size and ingenuity continues to impress visitors. Visitors who want a peek at how the wealthy lived during the Renaissance may want to visit Villa Farnesina, a villa located in the Trastevere district. The Villa Farnesina is well known for the frescoes depicting the myths of Cupid and Psyche that were painted by Raphael. Works by various other artists were commissioned by a banker who was also a papal treasurer, and who had the villa built in 1506. The Appian Way is the most famous ancient road in Rome, connecting the city with Brindisi in southeastern Italy. Named after Appius Claudius Caecus, a Roman censor, it was originally a military road. Many historical monuments can be found along the first 8 km (5 miles) of the 560 km (350-mile) stone road today. This old highway has heavy vehicle traffic at the beginning, but is safe for pedestrians after a couple of miles. If you want to soak in as much of Rome’s history, heritage and culture as possible, then don’t miss the National Roman Museum, or the Museo Nazionale Romano. This Roman museum does not house its entire collection in one spot. Instead, exhibits are located in multiple destinations throughout the city. Find amber, Roman artifacts and jewelry within the incredible Palazzo Massimo alle Terme, admire breathtaking use of marble and stunning sculptures within the Palazzo Altemps and get an up-close look at Roman baths at the restored historic site of the Baths of Diocletian. Built in honour of Victor Emmanuel, the first king of a unified Italy, this bombastic monument may appear to be solid white marble but actually contains many rooms inside. It was designed by Giuseppe Sacconi in 1885 and completed in 1925. There are two permanent museums, one on Italian Reunification and one on emigration from Italy, as well as other spaces that host rotating exhibitions. The Victor Emmanuel Monument is not exactly known as one of Rome’s most beautiful structures but it is nevertheless well worth the visit, even if only for the great views from the top. The Piazza del Popolo is a large oval square in northern Rome that has been around since the days of the Roman Empire. At one time, it was the start of the most important road north. Three churches border the square but the eye-catcher is an obelisk from ancient Egypt. On the north side the square is dominated by the Porta del Popolo, which leads to the Via Flaminia, a road connecting Rome with the Adriatic coast. 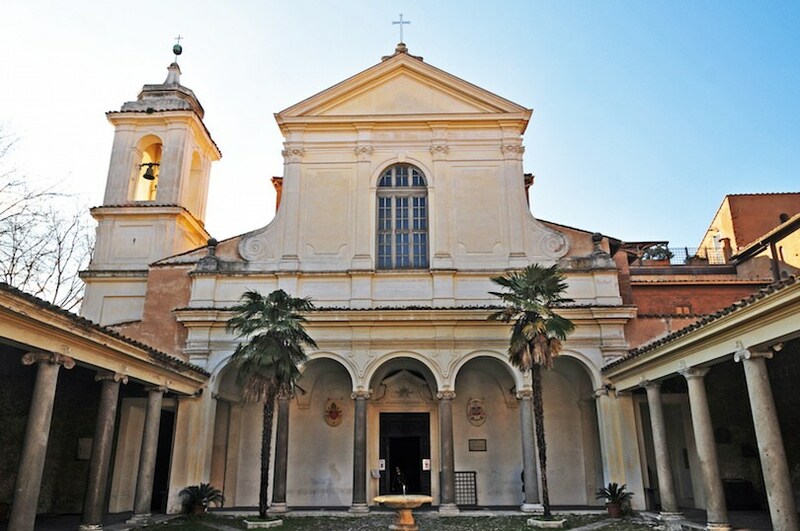 Santa Maria in Trastevere is one of the oldest churches in Rome, with most historians believing it was first built in the 4th century. The church has impressive mosaics from the 12th and 13th centuries; it has been enlarged and restored over the years. 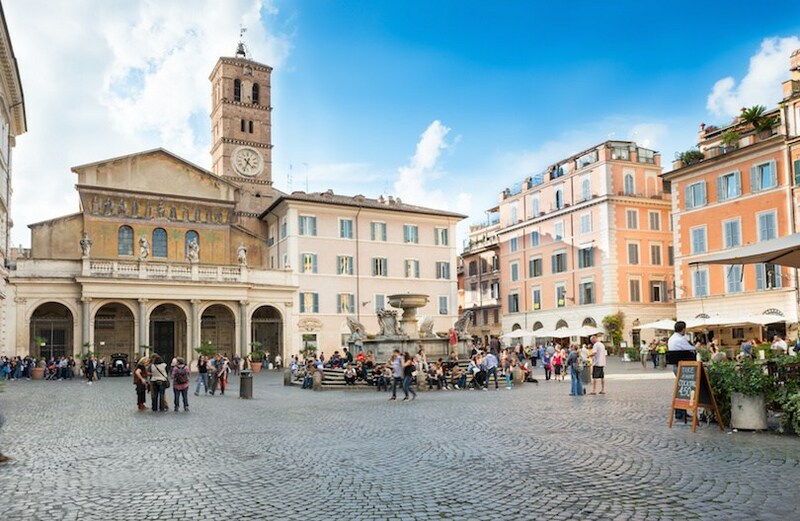 Located in the popular Trastevere neighborhood, its atmospheric piazza is enhanced by the mosaics on the façade, especially at night when the church and its tower are illuminated. Ostia Antica is an important archeological site that once was the seaport for Rome. 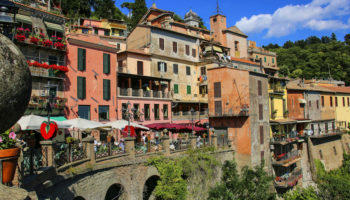 It is located less than 20 miles from Rome at the mouth of the River Tiber. The site has well-preserved ancient buildings, some of which date back to the fourth century BC. Ostia Antica is known for the outstanding frescoes and mosaics on these old buildings, as well as ancient public toilets that turned bathrooms into a social setting. 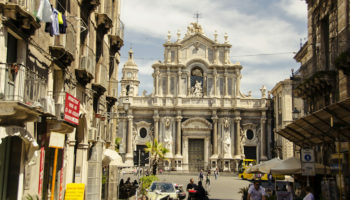 Located just a few blocks from the Coliseum, the 12th century Basilica of San Clemente is built on top of a 4th century Church and older Roman temple. The present church is noted for its fabulous frescoes and mosaics. 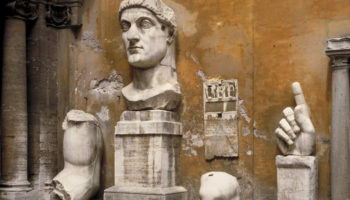 For an admission fee, it is possible to explore the excavations of the lower two levels, which is a fascinating journey into the history of Rome. It may have taken the Romans 400 years to build the Capitoline Museums, after they were designed in 1536 by Michelangelo, but the wait was worth it. This outstanding collection of art and archeological museums, which started with a papal donation in the 15th century, can be found at Piazza del Campidoglio atop Capitoline Hill. The collections include medieval and Renaissance art, old Roman statues and jewels. Palatine Hill, one of the Seven Hills of Rome, has links to Roman mythology, as it was here a wolf allegedly found the twin boys Romulus and Remus, and cared for them until a shepherd rescued them. Even if this legend is not true, Palatine Hill is still the place where Rome was founded. Today only ruins remain but during the Imperial era, the hill was completely built up with large palaces. 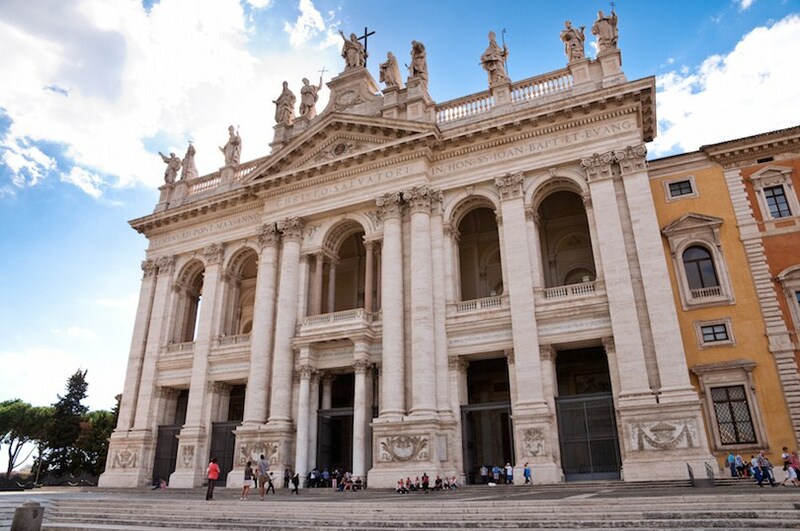 San Giovanni in Laterano (St. John Lateran) is one of four major basilicas in Rome. Dedicated to John the Baptist and John the Evangelist, it is the home cathedral for both the archbishop of Rome and the pope. It is believed to be the first Catholic church built in Rome. Its exterior doesn’t seem as ornate as other churches, but inside it’s beautiful decorated, with wall ornaments, columns, mosaics and paintings. The Galleria Borghese is an art gallery that was built as a party house by Cardinal Sciopione Borghese in the 17th century. A nephew of Pope Paul V, the cardinal also was a patron of the arts. The galleria today houses many pieces of paintings, sculptures and other antiquities from his collection. Paintings by Titian, sculptures by Bernini, and the National Museum of Musical Instruments can be seen here. 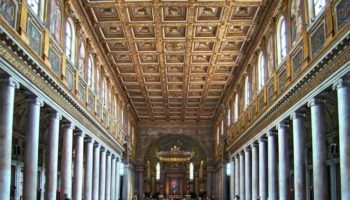 Founded in the 4th century, the Basilica di Santa Maria Maggiore (St. Mary Major) is considered one of the most important Catholic churches in Rome. Its 18th-century exterior conceals one of the best-preserved Byzantine interiors in the city. Travelers who are in Rome on August 5 may want to attend the Miracle of the Snows celebration when thousands of white petals are dropped from the ceiling. Located in Vatican City, St. Peter’s Square is the most famous square in Rome. Hundreds of thousands of people gather here to hear messages from the pope. Created in the 17th century by Bernini, the square has an elliptic shape, surrounded on two sides by colonnades before St. Peter’s Basilica. Statues sit atop the colonnades. At the center of the ellipse stands an Egyptian obelisk that was transported from Egypt to Rome during the reign of Emperor Augustus. Campo de’ Fiori is a rectangular square south of Piazza Navona used as a marketplace during the day, and party central for college students and tourists at night. The name means “field of flowers” and was first given during the Middle Ages when the area was actually a meadow. Today the market is a lively place, especially when the daily vegetable market is held here (every morning except Sundays). Visitors can buy fresh produce at the market, as well as fish, meat, flowers and spices. The square is surrounded by cafes and restaurants, making it a good place to eat after shopping or just wile away the afternoon. One of the most famous of Rome’s many squares, Piazza Navona was established towards the end of the 15th century, and preserves the shape of the Stadium of Domitian that once stood here. Built by Emperor Domitian in 86 AD, the stadium, which had a larger arena than the Colosseum was mainly used for festivals and sporting events. The buildings surrounding the square stand where the spectators once sat. Today, the square features no less than three magnificent fountains and is an immensely popular place to sip a cappuccino, shop, and watch street performers. Castel Sant’Angelo was built to be a mausoleum for the Emperor Hadrian and his family. Built in 123 BC, it later was turned into a fortress and castle by the popes. It was once Rome’s tallest building. The ashes of other emperors were buried there, but scattered when the Visigoths invaded in 410. It also served as a prison, but today the castel is a museum. Among the most well known sights in Rome, film buffs will recognize it as a setting from “Angels and Demons”. Located in the small valley between the Palatine and Capitoline Hills, The Roman Forum (or Forum Romanum in Latin) was for centuries the teeming heart of ancient Rome: the site of triumphal processions and elections, venue for public speeches, and nucleus of commercial affairs. 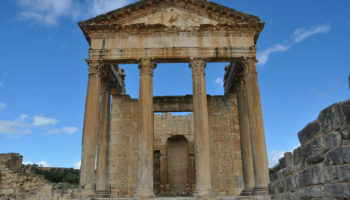 The Forum today is a sprawling ruin of architectural fragments and includes the Arches of Septimius Severus and Titus, the Temple of Antoninus Pius and Faustina and the Temple of Saturn. A truly monumental stairway of 135 steps, the Spanish Steps were built with French funds between 1721‑1725 in order to link the Bourbon Spanish embassy to the Holy See with the French church, Trinità dei Monti. The steps are usually very crowded attracting tourists as well as locals who use it as a gathering place. Each year in May the steps are decorated with pink azaleas. At the foot of the Spanish Steps is the Piazza di Spagna (Spanish square) and the Fontana della Barcaccia, a sober fountain designed by Gian Lorenzo Bernini. Completed in 1762 to a design by Nicola Salvi, this world famous Baroque fountain features a mythological sculptural composition of Neptune, god of the sea, flanked by two Tritons. The location of the Trevi fountain marks the terminus of the ancient Aqua Virgo aqueduct and is so named on account of its position at the junction of three roads (tre vie). The fountain was the setting for an iconic scene in Fellini’s film Dolce Vita starring Anita Ekberg and Marcello Mastroianni. 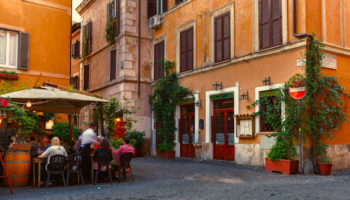 Since than, it has become one of the most popular tourist attractions in Rome. The legend says that one who throws a coin in the fountain shall one day return to Rome. The Vatican Museums began in the 16th century with a collection of sculptures by Pope Julius II. 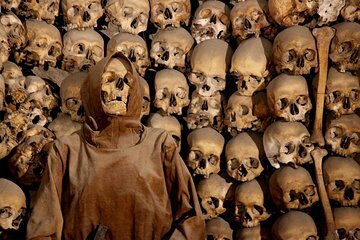 Today, they encompass several museums inside the Vatican City and include some of the world’s most important relics. 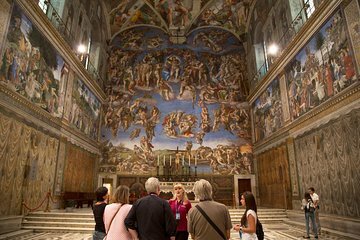 Attractions of the museums include the spiral staircase, the Raphael Rooms and the exquisitely decorated Sistine Chapel. 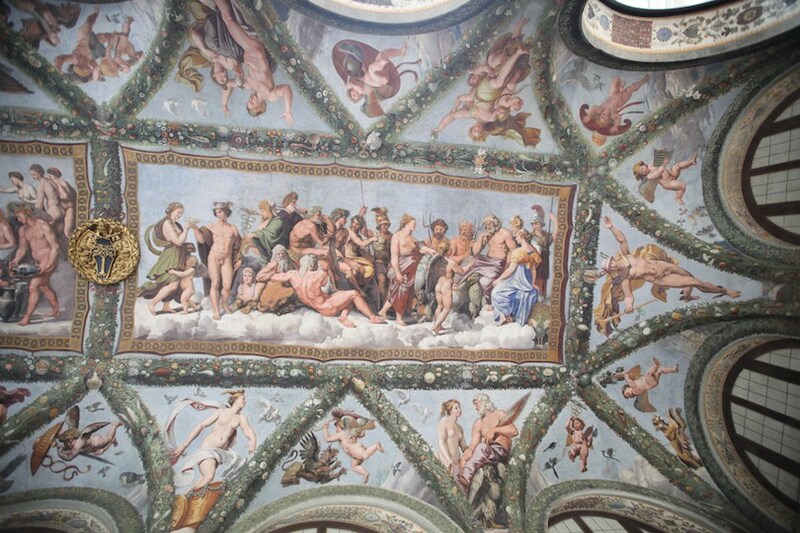 Michelangelo painted the chapel ceiling between 1508 and 1512. Today the ceiling, and especially The Last Judgment, are widely believed to be Michelangelo’s crowning achievements in painting. To keep the massive crowds under control, the museums have 4 itineraries that range from one and a half hours to more than 5 hours. All itineraries end in the Sistine Chapel. 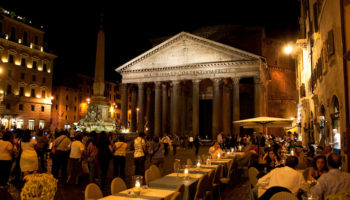 One of the best preserved Roman buildings, The Pantheon was built in 126 AD as a temple for all the Roman gods. The temple has served as a Roman Catholic Church since the 7th century. Eight graceful granite Corinthian columns extend across the front of this circular building, with lesser columns in back. Though it is 2,000 years old, the Pantheon’s famous dome remains the world’s largest unreinforced concrete dome. It is believed Marcus Agrippa built the Pantheon to be his private temple. The current building was reconstructed by Emperor Hadrian in the second century. The center of the Catholic world and a major tourist attraction, the Basilica of St. Peter is a huge church: with an interior height of 120 meter (400 feet), the space shuttle, together with its booster rockets, could fit inside, as could the Statue of Liberty. The basilica stands on the traditional site where Peter, the apostle who is considered the first pope, was crucified and buried. Construction on the current building began in 1506 and was completed in 1615. 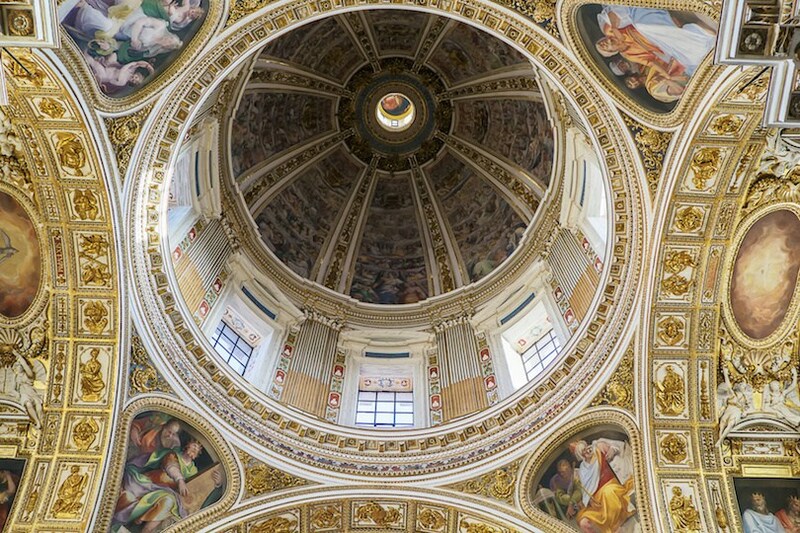 Many famous artists worked on the complex and its surroundings: Michelangelo designed the dome while Bernini designed the great St. Peter’s Square. The Colosseum is another of Rome’s major tourist attractions. Its construction was started by emperor Vespasian of the Flavian dynasty in 72 AD and was finished by his son Titus in 80 AD. 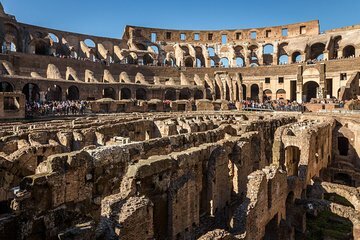 The elliptical amphitheater could hold up to 50,000 people who turned out to watch gladiators do battle, people be publicly executed and enjoy other forms of entertainment. This stone and concrete structure, built in the first century, was the largest amphitheater in the Roman Empire. 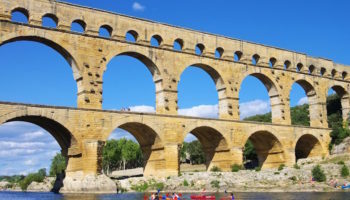 It is considered one of the Romans’ greatest architectural and engineering feats. Which attraction in Rome do you consider to be the most interesting? it is very nice to see Italy, the famous pantheon, koloseum and a lot of other places to see. When i visit it i saw a lot. Bravoo Italy, the most beautiful place in the world. Rome is really majestic! I would love to see these beautiful architectures soon.